We do your website maintenance and updates whenever its required. We have an dedicated team to work on this throughout the year. Run a link checker to crawl your site and look for broken links that frustrate users and reduce search engine rankings. 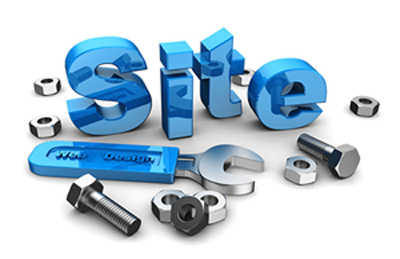 Our team will maintain the CMS system for the site so that they or you can update the site. We ensure content management system updates including plugin & software updates. Use different tools to identify issues that might be slowing down your site.Use Google Analytics to spot trends (good or bad) in your site’s performance. Use a tool like moz.com to identify structural issues with your site that may affect how search engines view your site like missing titles or duplicate content. Identify new referrers that are sending traffic to your site. Check Google Webmaster Tools for any crawl errors. If your site accepts comments or other content created by your users, check for any spam that may have gotten past your filters. Test your website to ensure it displays correctly across all browsers and devices. Does your website display correctly on an iPhone 6? How about the latest Android phone? What if someone still has an iPhone 4 or 5? What about an iPad mini with an older operating system? Or an Amazon Kindle? What about a PC with an older version of Windows running Internet Explorer, or a new MacBook using the latest version of Safari? It happens on millions of websites every day, and can be a revenue leak for any business. We won’t let it happen to you. Test any important functionality like filling out contact forms, signup forms, checkout forms, etc. to make sure everything is working. This checklist is meant as a minimum starting point. You can certainly go deeper in any one of these areas depending on your site’s purpose and goals. None of these tasks are overly time consuming. But, when you add them all together website maintenance can be a decent chunk of work. You probably have a million other things that require your attention. Like flossing, website maintenance probably isn’t high on your list. We offer website maintenance packages that cover these tasks and more. Get in touch if you’d like to outsource these headaches and have a piece of mind that your site is in good shape. Q. What is cover under website content updates? Website content updates includes modification of pages, changes to photos and graphics on the site, changes to website content such as adding of paragraphs etc. This however does not include any changes to the site design itself. Q. Is there any limit for updates from client request? Currently we do not set any limits on the number of requests the client can request. However we do reserve the right to negotiate the contract if the frequency of updates increases unexpectedly or if support is required beyond the normal updates to the website. Q. What are includes in technical support? To restore the data in the worst case scenario of the server crashing or being hacked.